Great for year round fishing, Galveston Bay offers mild winters and temperate waters. The jetties provide the thrill of a lifetime for seasoned, salt water anglers and first timers alike. 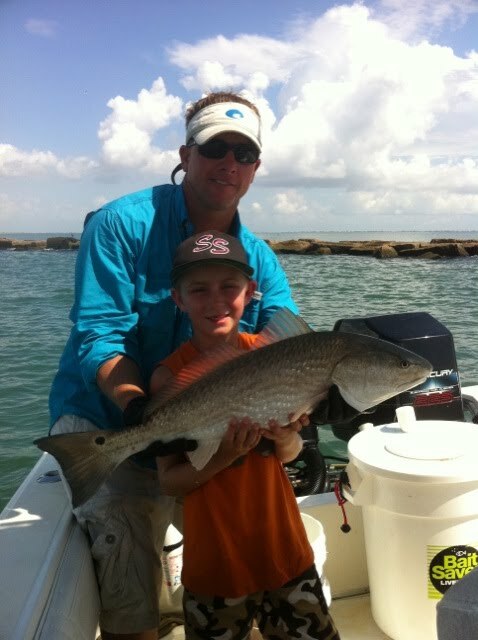 The rocky edges of the Galveston Jetties create the perfect habitat for enormous bull reds, sheepshead, black drum, sharks, stingarees and many other saltwater species. The Jetties extend from Galveston Island to Bolivar and yield some of the best catches during the summer months. These record catches are what make Galveston Bay a treasure to behold. You won’t leave Galveston Bay empty handed with Captain Greg as your guide. Captain Greg Verm is a lifelong Galveston resident, seasoned angler and charter captain. His extensive experience and warm personality will make your Galveston Bay fishing charter an experience you’ll remember for years to come. So, whether you’re a seasoned angler or a Galveston Bay fishing newbie, your in good hands with Captain Greg. Because of the myriad of marine life available in Galveston Bay, this great fishing destination offers some of the best saltwater fishing along the Texas Gulf Coast. If you are vacationing in Galveston or are a lifelong resident, Captain Greg has a fishing charter you are sure to enjoy. Our Galveston Bay fishing charters including fishing for three people and can accommodate up to six people. Contact us today to book your Galveston Bay fishing charter. Five hour trip includes rods, reels, live bait, fuel, and we fillet and bag your catch after the trip – $550 for one to three ppl, $75 each additional up to six max per boat. Eight hour trip includes rods, reels, live bait, fuel and we fillet and bag you catch after the trip – $750 for one to three people, $75 each additional up to six max per boat. These trips are fished out of Duke, Dutchess, or Dutch – 25 foot Blazer Bay Center Consoles. **Can use offshore boat 32 foot contender for $100 more if available.